San Mateo County Parks Department will temporarily close Moss Beach Park on Apr 1 in order to remove the declining Monterey Pines and install the long-awaited restroom. An inspection by a certified arborist determined that the two large Monterey Pines in front of the Moss Beach Park are in a state of decline. Both trees suffer from Bark Beetles and Pine Pitch Canker which has weakened their integrity and created various safety hazards for children using the park. As promised when the County accepted the park, we are working hard to ensure that it continues to be a safe place for children to play. In the coming days, the County will be posting notices of removal on each tree. 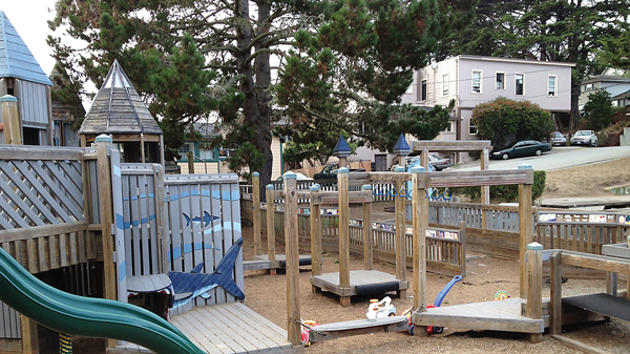 Simultaneously, the County will be installing the long-awaited Moss Beach Park restroom. While the park is closed for the tree removals, we will install the restroom. It has taken several years, but the Moss Beach Park restroom is only weeks away from being installed! Overall, we anticipate the park will be closed between 6 and 8 weeks. If anyone has any questions during this time, please contact the SMC Parks Department at 650-363-4020.